Twin Cities Hospital offers 65 inpatient beds and extensive outpatient services, and is accredited by the Joint Commission on the Accreditation of Health Care Organizations. A full-service medical facility, with the exception of Obstetrics, Twin Cities Hospital offers a physician staffed 24-hour emergency room, EEG/EKG, GE Lightspeed 16-slice CT scanner, GE Senographe DS Digital Mammography, stereotactic breast biopsy machine, intensive care/coronary care unit, nuclear medicine, open MRI, and a state-of-the-art outpatient surgery center. Twin Cities Hospital is proud to offer 100% private rooms to our patients! We know how important it is to feel comfortable and cared for when you’re recovering—that’s why all our rooms are private. You can get the rest you need, enjoy alone time with your family, and have medical visits without an audience. Private rooms help speed your recovery and lower your chances of infection. All of which leads to better patient outcomes, lower costs, and best of all, happier patients. After all, we don’t just want you to get well soon. We want you to get well sooner! With the recent addition of our Picture Archiving Communications Systems (PACS), we are proud to offer a film-less method of acquiring, storing, and communicating medical images. This revolutionizes the way medical images are captured, stored, interpreted, and shared. Because PACS expedites the delivery of images to the physicians who ordered them, patients receive their test results faster. In addition, Twin Cities Hospital has the only hospital based Wellness Center in the area, offering a variety of community based programs on current health issues. 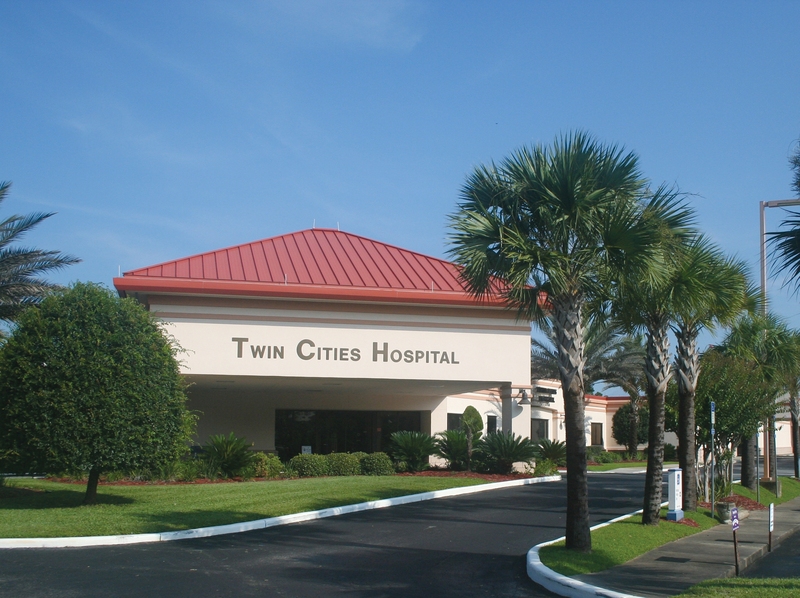 Twin Cities Hospital and the Wellness Center are located on a 17 acre site at Highway 85 North and College Boulevard in Niceville. Located on Florida’s Emerald Coast, leading vacation publications have recognized the beaches of Okaloosa County as the world’s finest because of the sugar-white sands and emerald green gulf waters. Bluewater Bay Resort features some of Florida’s most challenging golf, and is one of the top ranked tennis centers in the state. It is also a popular destination for European vacationers, and was ranked a “ Top Ten Family Vacation Resort” by Family Circle Magazine. Niceville is located in Okaloosa County, which is growing at 4.4% per year. The county’s northern boundary borders Alabama, and to the south is the Gulf of Mexico. The area supports Eglin Air Force Base, the largest military base in the world. The Air Armament Center at Eglin is responsible for development, acquisition, testing, deployment and sustainment of all air-delivered weapons. The Eglin Complex also houses Hurlburt Field, home of the Air Force Special Operations Command, and Duke Field, home of the 919th Special Operations Wing. The economic impact of the combined military presence in the tri-county area is an estimated $6.7 billion. The presence of the multi-service military units at Eglin results in a greater density of technology-based and defense-contracting firms creating industry clusters. Seven of the ten largest defense contractors in the State of Florida have a presence in Okaloosa County. Okaloosa County School System Okaloosa County has 37 public schools, six private schools, and two vocational centers, all accredited by the State of Florida and the Southern Association of Colleges and Schools. The school system is ranked as one of the best educational systems in the nation and ranked in top 3 in the state of Florida year after year. Students from the system rank among the highest in the nation in SAT and ACT scores. The county also has one of the top rated Exceptional Child Programs for the gifted student, learning disabled and homebound students. Visit their web site at www.okaloosaschools.com.